I wanted to share something personal with you today! I said YES and I’m engaged to the man of my dreams. He asked me to marry him in gorgeous Cape Cod, along the ocean and it was truly a beautiful and magical moment. I feel very blessed to begin this new chapter of my life and to also share a very new chapter in Maria Andros International and where we’re heading to empower ambitious business owner’s to get there faster. Have you ever wondered how it is that some Visionary Leader’s online make it seem so easy to create a 6 or 7 figure income? 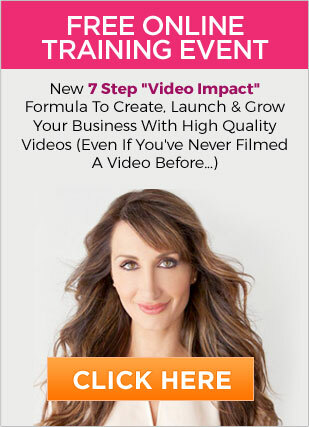 We’re also going to be sharing brand NEW pure content videos, that can help you boost your sales, attract your ideal client’s to you, double or triple your traffic to your website, & position yourself as an “Instant Expert”. So come along with me on this journey today and I can’t wait to show you my NEWEST and possibly favorite videos of all time. Please leave a comment below with what you liked most, and learned. Thank you in advance for reading, watching, and sharing this video. I can’t wait to share as much value as I can, and pure content video’s with you again soon!